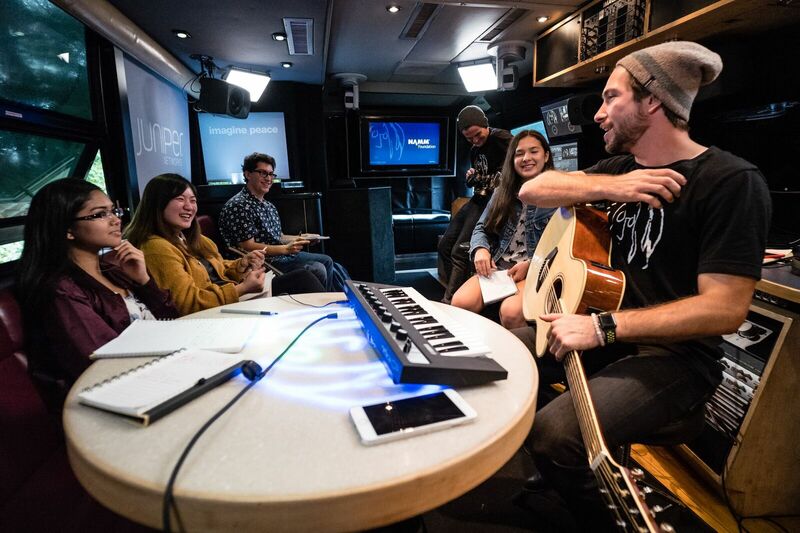 On October 12-13, The NAMM Foundation continued their SupportMusic Community Forum Tour, celebrating with Herricks Union Free School District. The district earned the opportunity to showcase music education programs after winning a video contest. 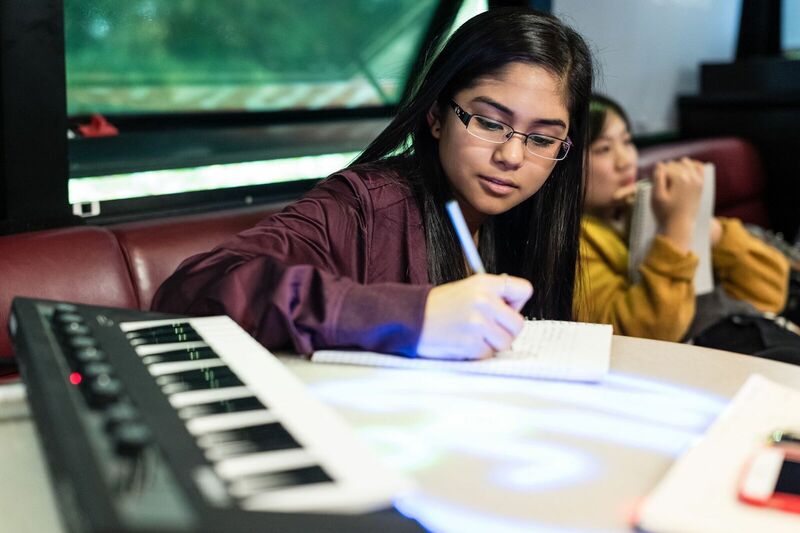 The first day was spent with six Herricks High students- writing, recording and making a video for an original song inside the John Lennon Educational Tour Bus. What follows is a first-hand account of a Herrick's High School student. Walking into the Lennon Bus felt surreal. There were screens everywhere you looked, sophisticated music software, and a plethora of instruments and technology that I’ve never seen before. There was also John Lennon’s self-portrait projecting from underneath a table. Who knew that all of that could fit onto one bus? We started off with ice breakers, introducing ourselves and presenting our favorite song to the group. This instantly made us feel comfortable; we could openly share ideas and thoughts without fear of judgment. The three audio engineers brought laughter and creativity onto the bus and made the process more enjoyable and fun. They created a space open to any and all possibilities- complete creative freedom. In the beginning of the songwriting process, it was easy to find a vibe and theme for the song that all seven of us in the group could agree on. The gloomy and rainy day outside guided us towards writing a song that doubled as a “vibe-y” and catchy song that you could easily dance along to. I got the chills recording vocals in the same exact place that the Black Eyed Peas recorded “Let’s Get It Started” in; it was an unreal feeling. Luckily, all of us students were good friends before recording on the bus, and working with six brilliant and talented kids was a blessing. 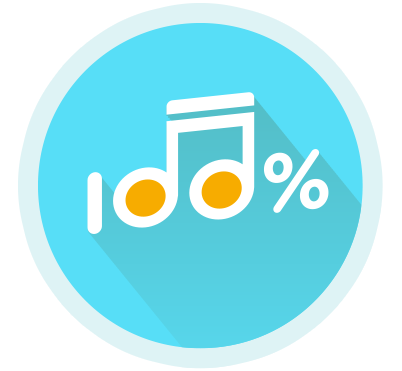 Each person was able to have an essential part in the songwriting process and we couldn’t have created the song we did without each of our unique inputs. Our experiences and feelings in life fueled the song and pushed it to another level; it showed a part of us that’s not necessarily obvious to everyone. We had a once in a lifetime experience. Not only did we create original music, but we bonded and got to know each other better. Jon Sanelli—a Herrick’s alumnus and the creator of the video that earned us the chance to record and write on the Lennon bus- came back to Herricks High School to share this songwriting journey with us. Having him there brought everything full circle, as if we had the old and new come together to share this day. While composing our song, I learned so much about the songwriting process. This was my first time in a legitimate recording studio and everything was mind blowing to me: the process; the equipment; and the people. Prior to this day, I had always watched YouTube videos that had music producers explain how they created and put together hit records. It was always fascinating to me how they were able to create something that seemed so simple on the surface, but was extremely intricate underneath. Watching this process in real life, right in front of my eyes, was magical and very organic. It was even more amazing to think that we had professionals working on a song that my friends and I created from scratch, a song that we had given birth to just that morning. The audio engineers on board with us really made the task of creating a whole song and filming an entire music video seem less daunting. Though they started off as our superiors, they quickly became our friends and that relationship that we created with them helped us grow our ideas. When we became doubtful, they encouraged us to comb through the entirety of our creativity in order to write the best song possible. Even though the engineers are from different parts of the country and come from different paths of life, we were able to easily connect with each other through music and through our experiences with music as well. Looking back now, it made me realize that music really does bring people together. Writing an entire song and creating a music video in a mere eight hours is extremely difficult. However, the time crunch forced us to express ideas that we might’ve held back if we had had more time and it pushed us to become more open to any ideas that came about. I developed a bond with the people on the Lennon Bus that I never thought I could and it was surprising to see what a normal bunch of teenagers could do in one day. 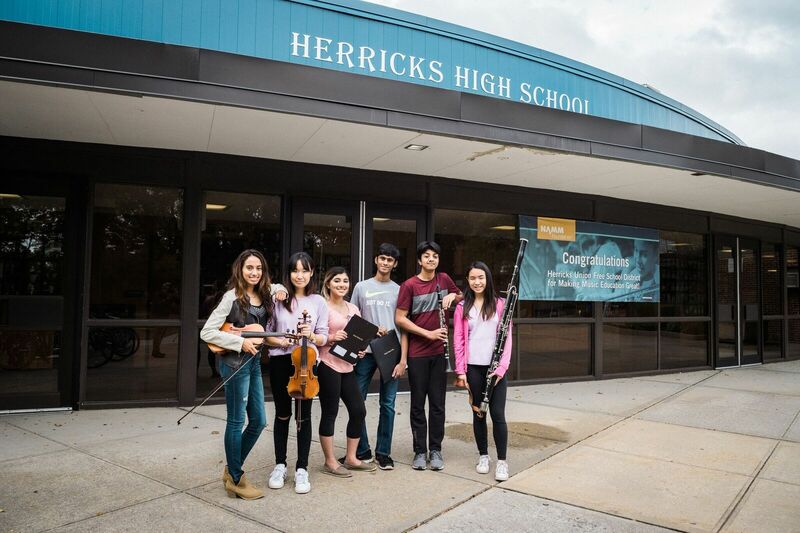 Herricks Union Free School District is one of three districts selected for the NAMM Foundation and the John Lennon Educational Tour Bus two-day residency, based on their video that explained “What Makes Music Education Great in My School District.” If you are interested in bringing The NAMM Foundation and the Lennon Bus to your school district, submit a video, here. The school district is also nine-time Best Communities for Music Education designee. If you are interested in learning how to apply to be considered for this national designation for 2017, please visit nammfoundation.org.